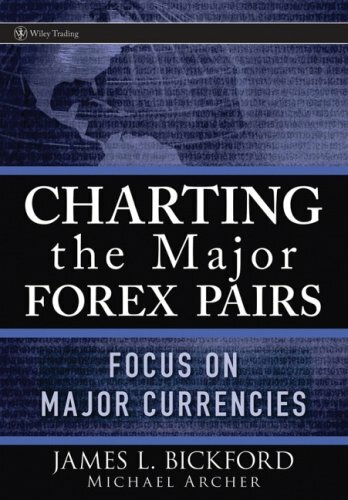 James Lauren Bickford, Michael D. Archer, "Charting the Major Forex Pairs: Focus on Major Currencies"
All markets move in patterns. Being able to visualize and analyze those patterns can offer powerful advantages for traders in every market. Traditionally, though, technical analysis has been the preferred technique for Forex traders. In this pioneering book, Michael Archer and James Bickford expand upon the use of technical indicators by studying and charting the most commonly traded currency pairs. Featuring numerous historical charts generated by proprietary software and charting system, Charting the Major Forex Pairs provides Forex traders with a graphical interpretation of the markets, enabling them to instantly see patterns, and to enter into and exit positions with confidence.